First aid programe collobration with St. John Ambulance Service. Cleaning residential area at Ayodhyapatinam Ramar temple. Blood Donation by B.Ed., students. Visit to Thiruvanamalai Temple and nearby Dam. To get more number of copies of reference books on teaching of Education. To supply more sports kits and arrange external referees, umpire. To allot teaching practice schools in nearby areas of Residence. Arrangement for the spoken English class. The decisions were made regarding for purchasing more number of copies of reference books on teaching of Education. The principal sanctioned funds for constructing a new badminton court, sports kits and arrange external referees, umpire for sports competitions in the forthcoming academic year. Decisions were made regarding more number of teaching practice schools in nearby residential places of students. The need for conducting spoken English class for B.Ed. students. The students were understand the English grammar and spoken the words. Co-Ordinator : Asst. Prof. Mr. P. Balasubramanian. To arrange the orientation programe for the staff numbers. To purchasing the more number of Tamil reference Books. We need books regarding English literature. Supply the lockers for keeping books and records. The management arrange the orientation programe for the staff numbers. The management sanctioned new more number of Tamil reference books to purchasing our library. The management sanctioned list out of new English literature books and some written language books to purchasing our library. To provide lockers for staff in staff rooms. To purchase biological lab things and some instrument. To purchasing physical things and fixing washbasin chemicals particulars. To make arrangement for placement in schools. To arrangement for yoga class for all students. To repair the computers in computer lab. The management sanctioned and purchasing lab things for physical and biological sciences it self. Decisions were made regarding for fixing new washbasins both labs are (physical and biological). To invite more number of schools for placement services. Our principal to take decisions made regarding to arrangement for yoga class for all students and staff numbers. The management decided to repair the computers in computer lab. Librarian : Mr. B. Murali. Qualified librarian with an Assistant and a technical staff for periodical maintenance of the library infrastructure. Through the library committee the resource and relevant library materials are collected and different folders (media, new arrivals, etc.) are maintained. The library data are fully maintained by programmed software to our own needs. Computerised author and title catalogues which facilitate the user to find out the availability, nature of the resource materials and details of their account. 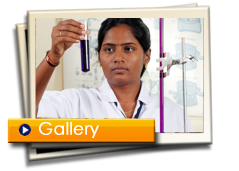 Reprography facility is available at nominal cost. Adequate number of computers and internet facilities for optimum use. The monthly report for various library transactions is submitted to the library committee which consists of the principal and the two staff. Decisions regarding modification of library service. Treasurer : J. Rajesh kumar. An Awareness rally was taken out to create awareness among the public on the importance of enrolling their names in the electoral list. Rally to mark Rastriya sankalp Diwas to create awareness on national integration and unity. The world Peace Day celebration for the cause of world peace, brotherhood, equality and oneness. To increase the number of pages. To update chronology of events. To include the names of Part-Time Faculty. To have Policies and Guidelines for the year 2012 – 2013. Duties and responsibilities of the teaching staff and the students.. Organizing out-reach programme to Thiruvannamalai. Inviting School Headmasters to deliver their speech on education. To conduct programme about awareness on fire accidents. To offer ample opportunities to exhibit their individual talents, self expression and creativeness. To enhance co operation hard work and team sprit among our student teachers. To give an exposure to all round development. To know more about teaching and a teacher through lectures by eminent educationalists. To divide the 100 students into six groups randomly. To increase the number of events. To avoid most expensive materials for the prorammes. The participants should register their names two days before. The persons who violate the rules should be disqualified. Inclusion of more activities photos. To have a session on Resume Preparation. Impart useful tips on “How to Face an Interview”. To conduct campus interview in last week of April 2013. To invite more number of schools. To invite C.B.S.E, state Board and Matriculation Schools. Inspiring the present student-teachers by detailing the different channels of job opportunity. 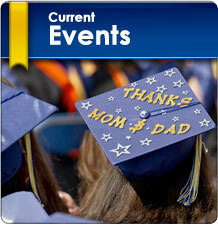 Mahendhira College of Education Events video. Watch Now!